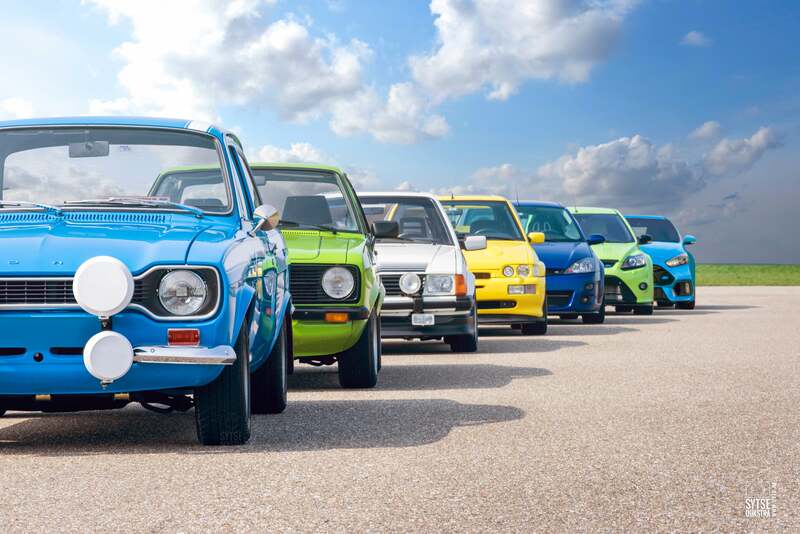 Displaying seven generations of cars in the Ford RS lineup on your desktop is kind of like having a family photo there—a photo that not only celebrates the fact that Americans can actually have the 2016 Ford Focus RS, but also helps everyone at the office understand just where your heart lies. This weekend’s wallpaper comes from Sytse Dijkstra, and pays tribute to the RS and its history. The RS badge is a special one for Ford, born from the company’s rally program and living up to its rallying roots while also being a street car. It’s fast on track and is certainly a driver’s car, but it’s also smooth on the road. Our full review of the RS—or its informal name, “God In Hatchback Form”—is here. And with that, enjoy your week. May your days be as special as the RS badge. Photo credit: Sytse Dijkstra. Used with permission. For more photos of his photos, check out his website and Instagram page. For a big desktop version, click here.